A taste of Tuscan history and culture through its great wines. You will taste some of the best wines of this ancient and prestigious wine area: not only Chianti Classico but Vernaccia from San Gimignano, wines from Bolgheri…all in one experience! Marco will accompany you in a voyage around ancient cities, people, adventures, and curiosities, and will help you discover the origins of great Tuscan wines. You will taste two delicious combinations of local specialties and we will suggest some very particular pairings with famous international dishes. Not only you will have an overview of Tuscany’s most important DOC and DOCG, but you will learn how to understand and recognize the producers’ different stylistic choices. You will immerse yourself in the authentic Tuscan culture, having fun learning curious historic anecdotes. Thanks to our collaboration with local history experts, we will offer you a point of view different from the classic tour guides stories. You will learn few but important rules, and you will build basic skills to analyze and to judge wine, guiding you with confidence in the complex world of Tuscan Wines Lists. Will we only taste red wines? No, we will taste 1 white wine and 5 red wines. Will you also serve food? No. 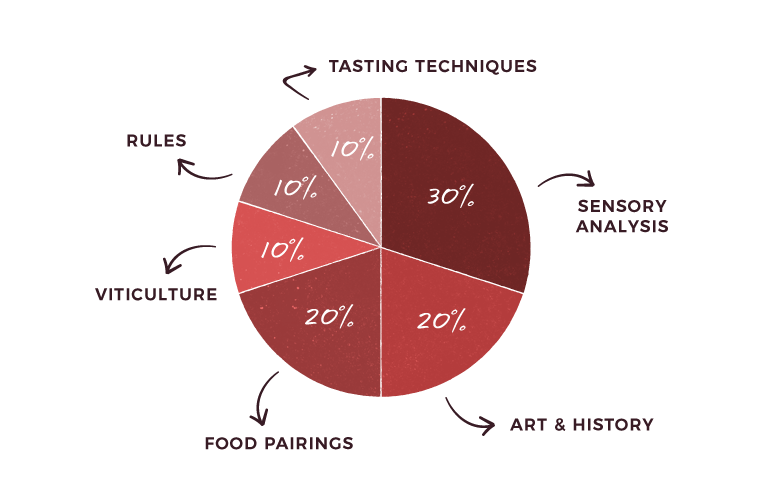 We will talk about pairings, but, in order not to compromise the palate during the tasting, we will not serve any food. For those who wish breadsticks will be available. I do not understand anything about wine, can I participate? Surely! Our tastings are also designed for those who don’t know anything about wine, we only ask for curiosity and desire to discover very interesting wines! I would like to participate, but my children are not 18, how can I entertain them? sit and play. We also have a very good artisan ice-cream shop just a few meters from us. And there’s also the Wine Lovers Bar, where the over 12 can eat something and use the Free Wi-Fi.